March is all about entering with a loud roar like a lion every year. Everywhere you look there are splashes of new life popping its head out to claim its place in our world. The reminder of bravery and newness are good for us too! During this month, many of you will be stepping out into something new as well! Spring has a way of welcoming new, fresh and brave things into the world. For others of you, you may decide to step out in other areas of life to show some love. Have you considered showing your teeth some love? 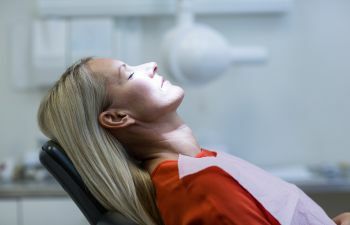 What’s been holding you back from getting the dental treatment you want or need? Time, busyness and forgetfulness sometimes are a barrier for getting proper dental care. For many others of you, dental fear or anxiety could be your barrier for getting the oral care that you need or want. Dental anxiety is not uncommon. While you may feel alone with your fear, the fact of the matter is that about 30 to 40 million people suffer from it according to Colgate.com. If you’re one of the many Americans that suffer from dental anxiety, Mansouri Family Dental Care & Associates wants to assure you that you’re not alone. Our professional and caring team is equipped to help you step out of your fears to get the dental treatments you need or want. We offer sedation dentistry options to help you experience a stress-free experience while you’re at our office. Call Mansouri Family Dental Care & Associates to see if one of our sedation dentistry methods is right for your level of dental anxiety. Our Marietta Sedation Dentistry Experts will help you be brave! Thinking About An Extra Special Valentine’s Gift?